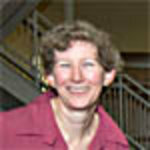 Marilyn Nash of the National Soybean Research Center was born Februrary 19, 1957 in the suburbs of St. Louis, MO. She explains her childhood as something out of Leave It To Beaver. A very good childhood. Had wanted to be a veterinarian. She eventually went to a University of Missouri College of Agriculture, thinking it would help her get into Vet Med school. After graduating from the college of agriculture, she went to Nebraska to work for the USDA Animal Research Center working with sheep. She learned to care of them and watched over 1800 ewe flock. She met her husband working there. They both then went to Kansas State. Then they went to Southern Illinois to manage a flock down there, then eventually moved to Champaign Urbana. While down in southern IL she took Masters Ag Econ classes at SIU Carbondale. She then began working with Dr. Steve Sanka at U of I while studying for her Ph.D. Dr. Sanka soon after became the Director of the National Soybean Research Laboratory. She got her graduate degree in 1999, and around this time got into soy foods. She is the program coordinator and started as the food stylist for cookbooks, helps with recipe development for cook books. Food stylist is someone who arranges food to be photographed. Now she is the spokesperson for their recipes. Most soy milk is calcium fortified so there is no lactose products and you want to shake it before you use it because there might be some sediments. Once opened, it needs to be refrigerated but before that it has a shelf life. Plain soy milk has a beany flavor. Vanilla soy milk is a little browner and has a vanilla flavor. Can be used just like milk, one for one, except with pudding. Nutritonally, soy milk is very similar to real milk. Read the label, not all soymilk is the same. It has no lactose, so people with lactose alergies can use it.